MPs rejected the Prime Minister’s deal by a majority of 58 in a crunch vote on what was due to be Brexit day. Following the result, former Ukip leader Mr Farage issued a rallying cry to Brexiteers. He said the Prime Minister’s deal was “rightly defeated” and vowed to “fight them again” as the possibility of a long delay to Brexit looms. The leading Brexiteer tweeted: "The new EU treaty has been rightly defeated for a third time. Extension and further battles now seem inevitable. We are not downhearted, and will fight them again." Mr Farage added it was ”the end of the road" for the Prime Minister. He said: "We should be leaving today with no deal. “I have to say honestly I'd rather have an extension to Article 50 than have this appalling treaty that Mrs May signed up to. "I think it's the end of the road, not just for this new European treaty which is what it is but for her as well. "If there are more battles to come be they European elections or whatever else that's what we'll focus our energies on." 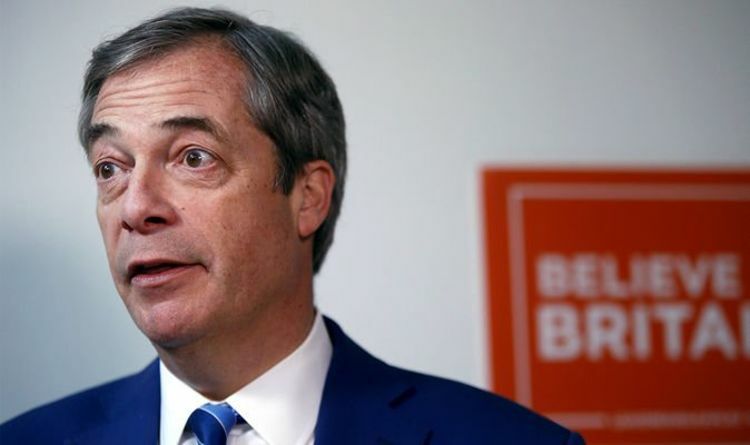 Speaking about a no deal Brexit on April 12, he said: "Much as that's what I want and fascinatingly that's where the opinion polls are now going very strongly and very quickly I really don't hold out a very great hope that's going to happen. It comes as Mr Farage joined Brexit supporters for the last leg of the March to Leave, which has arrived in Parliament Square after setting off from Sunderland two weeks ago. The former Ukip leader congratulated marchers who had walked the whole distance. He said: "From Sunderland it's a bloody long way. "It's a hell of an achievement and the symbolism couldn't have been greater. "I would've liked to have done more, I've just been too busy. "I did a few days of it - and as commentators noted - I set a very fast pace." Mr Farage is due to speak at the rally in Parliament Square alongside Wetherspoon founder Tim Martin and broadcaster Julia Hartley-Brewer.